If I'm peeling, I'm using the Uber Chef. It peels, it juliennes, it does it all. What I love about it most is how fast it works. Peeled carrots aren't a chore, they are an afterthought. I like to parboil my carrots. Yes, I understand this is not grilling, but it speeds along the cooking process and in the end, makes for a great carrot. That's what we want, right? 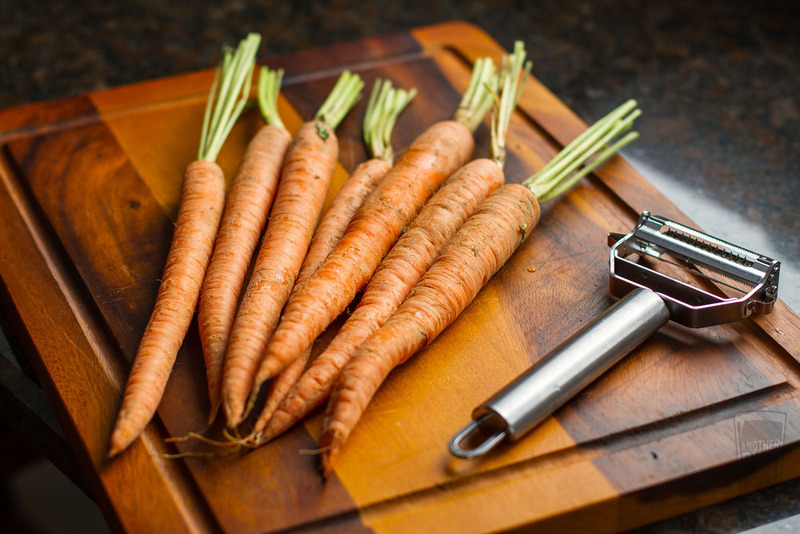 A carrot is dense, and while it can be completely grilled, a carrot that has just the right texture and bite needs some pre-cooking before it hits the grate. 2. 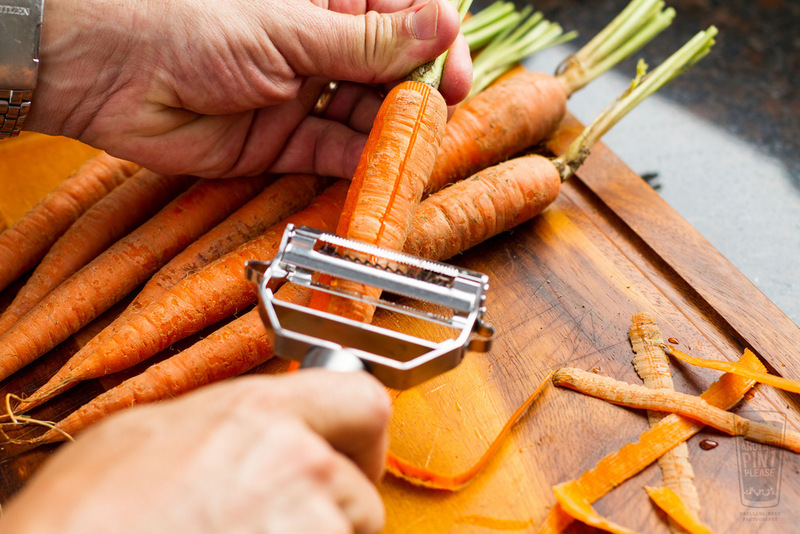 With a vegetable peeler, peel the carrots. 3. Bring a large pot of water to boil. Place the carrots in the water and let cook for 5-6 minutes. Remove from the water and rinse under cold water to stop the cooking. 4. In a small saucepan, melt the butter. Stir in the honey and cinnamon. 5. 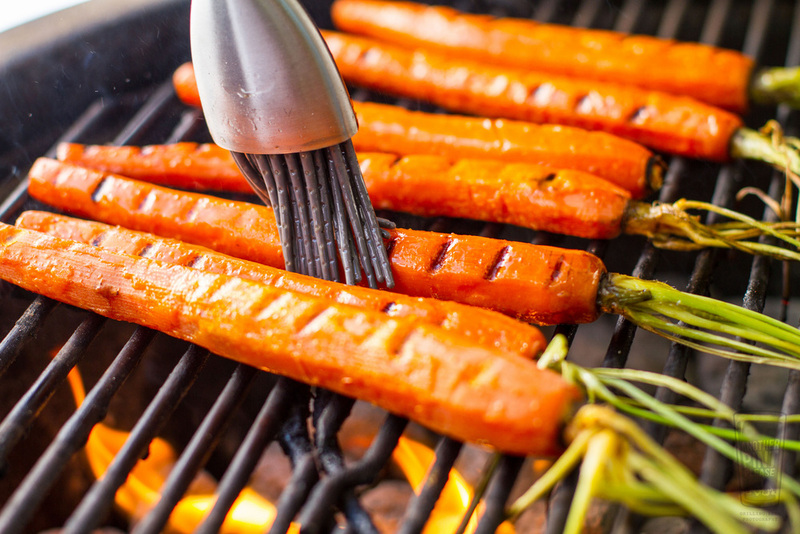 Grill the carrots over direct heat for 6 minutes, rotating at least twice. Brush with the melted butter sauce as you go.